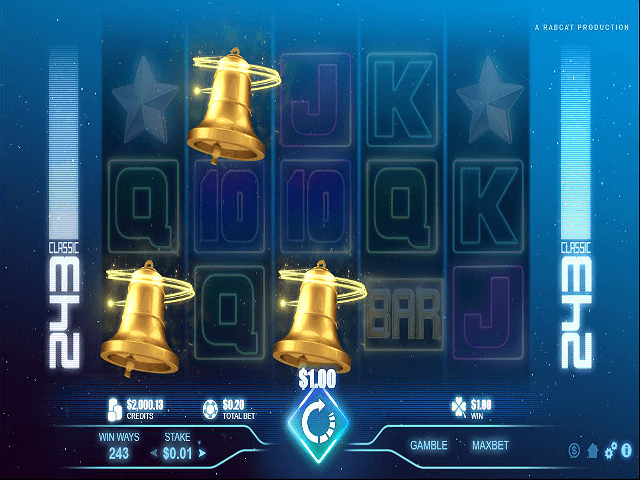 From the minds of Microgaming comes an online slot game that's retro to its core. 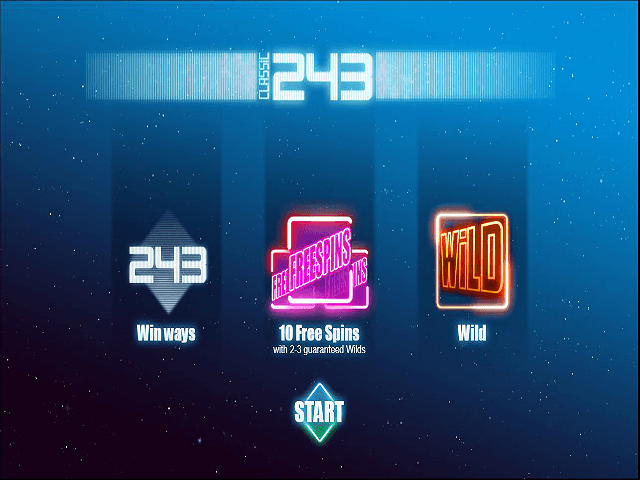 Taking the vibe of the 1980s and adding a dash of neon to the mix has made Classic 243 a slot game that glows with colour. If you're a fan of online slots such as Starburst, Classic 243 slots should be right up your street. This Classic 243 guide gives you all the information you need to ante-up, spin and enjoy a 97% RTP (return to player) ratio! The Classic 243 slot is cast in a similar mould to industry favourites such as Starburst. 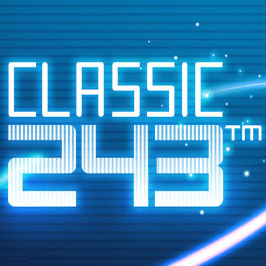 For example, unlike some modern slot machines that have detailed and animated backgrounds, Classic 243's is black. As well as lending a futuristic feel, this helps to give the symbols greater prominence. OK, so there isn't an overarching storyline, but the design team at Microgaming know this isn't always important when you're spinning. What it might lack in terms of characters and movie-style animations, Classic 243 makes up for with ways to win. This online slot is simply a good, old-fashioned fruit machine that's been put online. 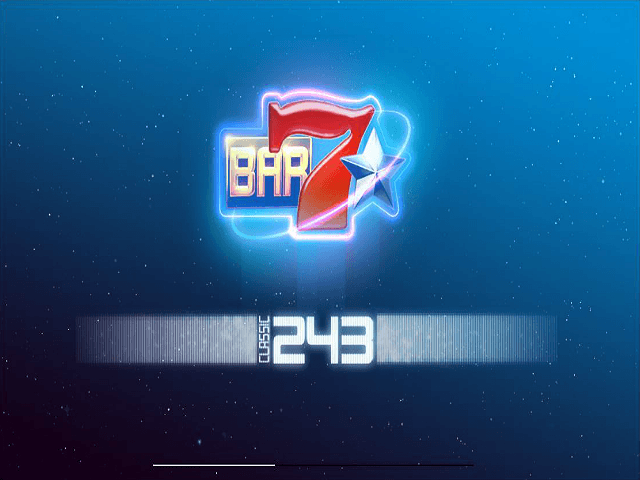 While many would technically call it a video slot, the fact you can see sevens, bars and card symbols means the developers are paying homage to the classics. From its 1980s theme to the symbols it contains and the ways you can win, this game is one the purists will love. As well as appearing on its own, any Classic 243 wild symbol can join forces with another wild to create a stacked wild. When this happens, you'll have even more ways to make a winning combination. Roll in three or more free spins symbols (scatters) and you'll get ten free spins with at least two stacked wilds in play. Roll in more scatters during your free spins and you'll get an additional ten turns free. If you're feeling lucky, you can gamble a win by playing a simple game of choose the correct rectangle. 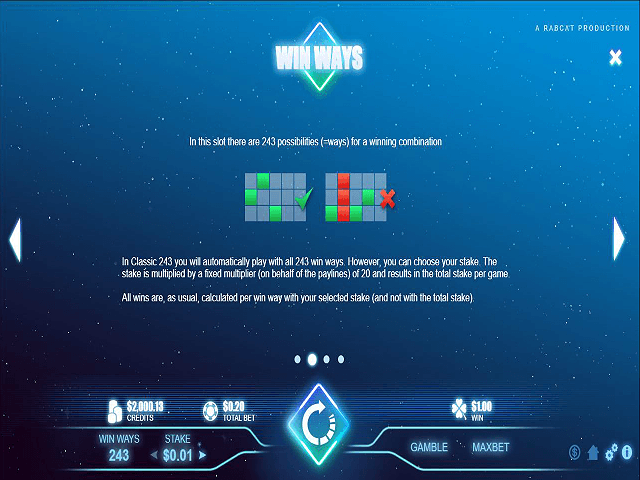 After you've rolled in a main game prize, you can hit the gamble button, which will take you to a screen showing two glowing rectangles. At this point you simply have to choose one that looks appealing and hope it's correct. If you've made the right choice you'll double your prize; if you're wrong it's back to the reels with empty pockets. The flow of action inside Classic 243 might not be as impressive as some modern slots, but that's the point. If you're in the market for a simple spinner that offers myriad of ways to win, Microgaming's Classic 243 could be the game for you. If you like Classic 243 - You'll like these slots too!